The 590 is a transpennine route through some stunning scenery. It's operated by First and runs the whole route every hour each daytime and evening, with a higher frequency between Todmorden and Halifax. 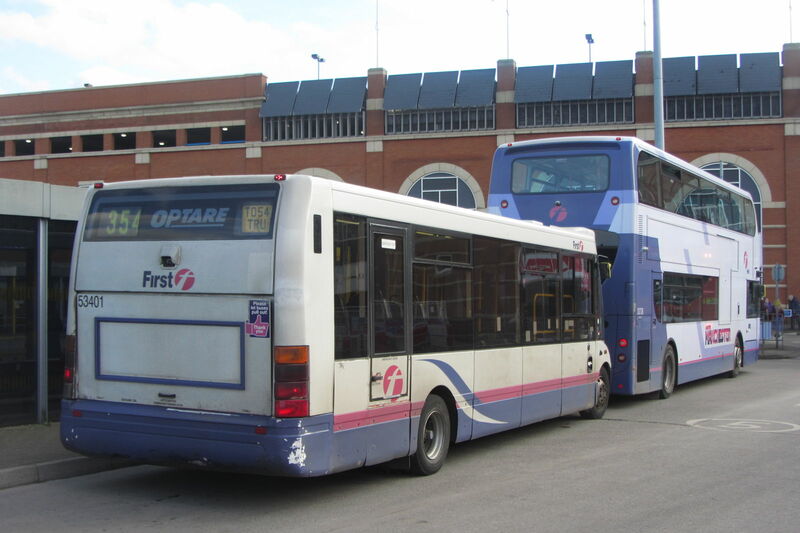 Click here to dicover more bus routes in Yorkshire and here for routes in the North West. Hollingworth Lake is nearby and well worth a visit. If you're feeling hungry, the Waterside Restaurant is very well regarded. There's a very well respected restaurant in Mytholmroyd: Aux Delices. See the full timetable on the websites of First, Transport for Greater Manchester or Metro. If you're only going to be travelling within Greater Manchester, then you can use Transport for Greater Manchester's range of multi-operator and multi-modal tickets on the 590 between Rochdale and the county border. The off-peak any bus Daysaver is currently £5.20. The TfGM Wayfarer, which can't be bought on the bus, is valid as far as Todmorden. If you're only going to be travelling within West Yorkshire and also need to use either other bus companies or trains, then Metro's range of multi-operator and multi-modal tickets is for you. The bus-only MetroDay is £5.50. The train & bus DayRover is £7.70. These tickets are valid for travel on the 590 between Halifax and the county border only. Plusbus tickets issued with rail travel to/from major stations in Greater Manchester or West Yorkshire are valid on the 590 on the appropriate side of the county border. Not to scale. Only major routes and destinations are shown. In Hebden Bridge, change for Transdev 500 to Haworth and Keighley. Change at Mytholmroyd for Yorkshire Tiger 900/901 to Huddersfield. Extract from Northern Rail's network map, with stations served by the 590 highlighted. Yorkshire Tiger route 528 provides another route between Rochdale and Halifax, running via Ripponden. First 589 uses the same route as the 590 between Rochdale and Todmorden, before continuing to Burnley. First 592 combines with the 590 to give a high frequency between Halifax and Todmorden. Northern Rail runs the railway line that links all of the stations that the 590 passes. Fares here. Do you plan on doing any routes here in Hampshire?